Areas we service include (but not limited to) the entire Cape Town region including city & surroundings, Atlantic Seaboard, Southern Suburbs, Northern Suburbs & False Bay areas. General Quotes: Unsure of how much carpet or upholstery cleaning will cost for your home or office? L & L Carpet and Upholstery Cleaners offers free estimates. Simply state the size and the material of the area that needs cleaning, and a L & L Carpet and Upholstery Cleaners associate will give you an estimate. Carpet Cleaning: Our cleaning technicians pride themselves on their thorough carpet cleaning techniques. Steam cleaning, dry cleaning, carpet protection services are available for any room in your home or business. Upholstery Cleaning: Our cleaning technicians are highly trained to steam clean a large variety of upholstery items. We also offer professional cleaning services to remove dirt from your valuable furniture. Deodorizing: Kill harmful germs and neutralize odors by deodorizing your carpets or household upholstery. Antibacterial deodorizing kills odor-causing bacteria and keeps your carpet and upholstery smelling clean and fresh. Flood Damage Cleaning: If your home or office has suffered water damage, our services can help restore your carpets to their original beauty. 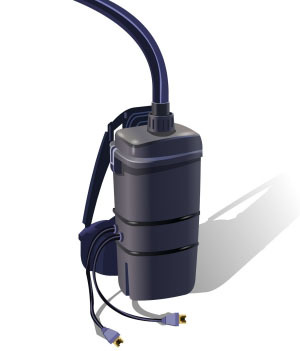 Our professional water extraction equipment can remove water from any effected area.